BAIT @ Designer Con 2012 – This Saturday! Designer Con 2012 is this Saturday, and BAIT will be there at booth 101! The sought-after Bad Bad Buddha "Gold Edition" by BeeFy & Co. will be making an appearance at this year's Designer Con. BAIT will take the annual Designer Con convention by storm with a slew of exclusive designer collectibles, apparel, footwear, and artist signing opportunities. 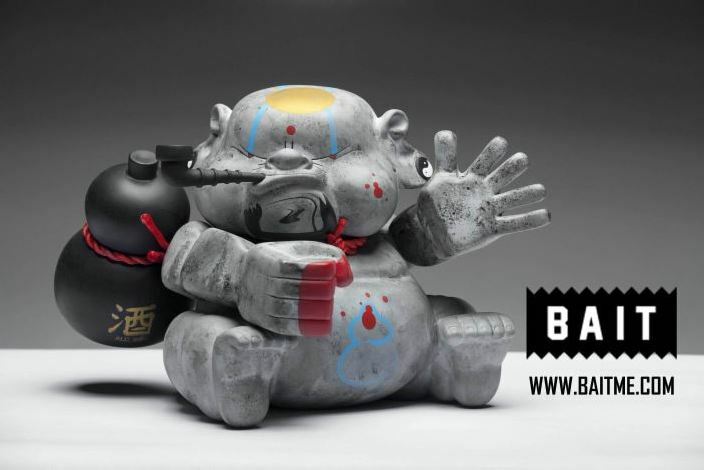 The "Stone" Bad Bad Buddha figure by BeeFy & Co. will be available exclusively at BAIT's Designer Con booth this Saturday.